Regardless to say, we all realize the importance of character education and life skill Education. 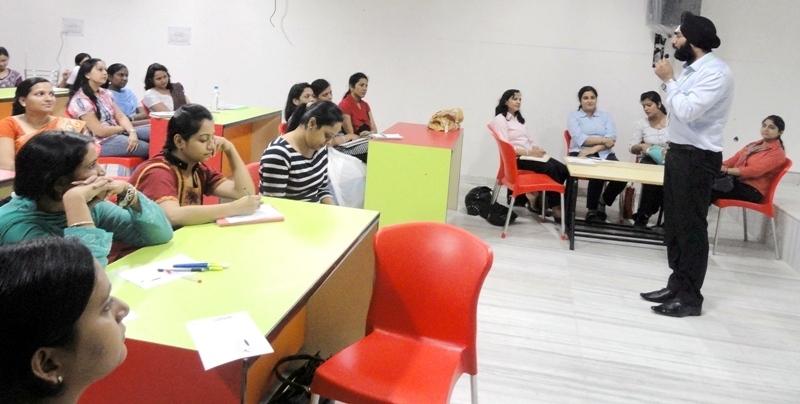 With that need in mind, a workshop was held for the teachers of J M international School. The workshop was held by Promise, the main features of the workshop were public speaking which included knowing your audience, body language and content, correct and balanced eye contact and body posture is very important and thirdly focus on how to say is given more preference than what you actually say. Teachers invariably come across students who are quite anxious when it comes to public speaking, a few solutions and strategies were shared in the workshop to help students overcome the fear of public speaking. शादी का लड्डू कहाँ और कैसे खाएं बताएंगी बेबी फेम तापसी पन्नू….